My skin is prone to be dry and cracked through the winter, and being pregnant has made it even worse (and much more sensitive too). Udderly Smooth has been a fantastic product to help me stay smooth without irritation or oily residue. 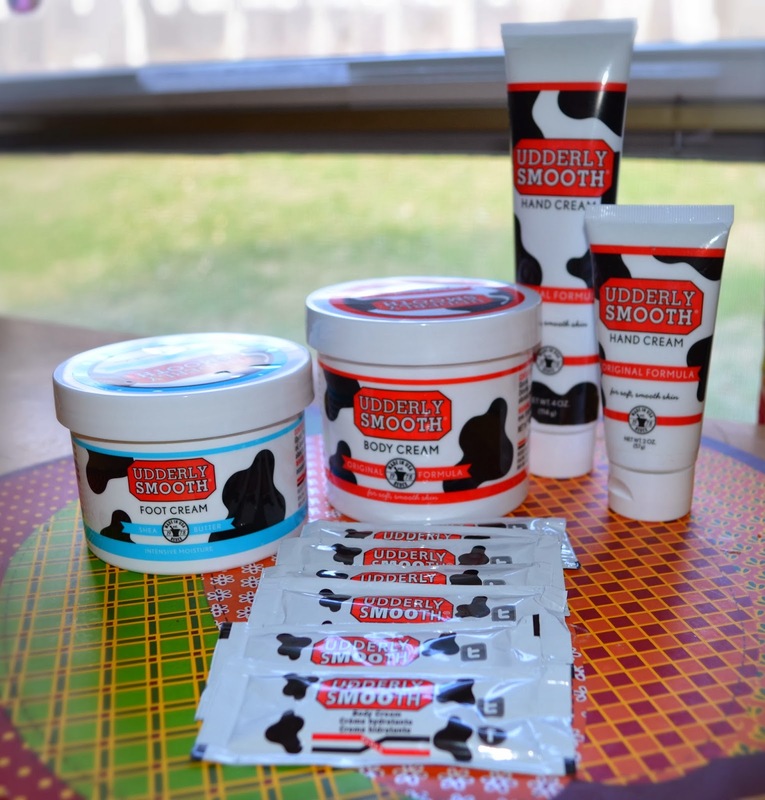 Originally made for use on bovine, Udderly Smooth is made in the U.S.A. and is approved for dry skin, cracked skin, diabetic foot care, as a facial moisturizer, a shaving lotion, and a general lotion for your entire body. I can tell you it is great for a growing pregnant belly and keeps it smooth without making it itchy or oily. I used the foot cream right before bed and right before I put my socks on in the morning. I was very surprised at how they transformed my feet from just feet to something I wouldn't want to hide away at all times. I think maybe a pedicure is in order so I can highlight that skin! The lotion has no diary products in it and it is not tested on animals. You can order the products online at their website, or you can find the product in many pharmacies and grocery stores. To my house, shipping seems to be $7. If I were to restock my Udderly Smooth products, it would cost me $26 total. I have to say, given the amount of product received, and the fact that you don't have to use much product at one time, it would be completely worth it for me. I have had the lotions for a few weeks and you can barely tell! The bottles are still full. I have been using much more expensive products and Udderly Smooth works just as well, if not better, than the products I had been using previously. If I can find these at the store- even better! Check out other reviews to this and other products at Mosaic Reviews!